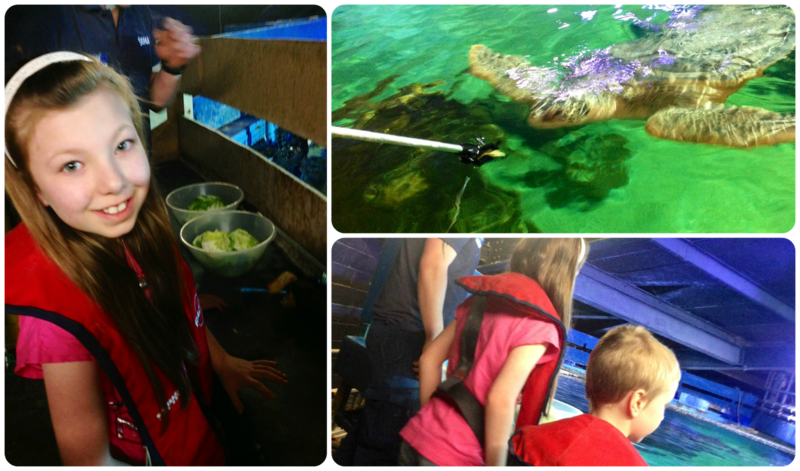 With Jamster being a huge Teenage Mutant Ninja Turtles fan and Minxy loving all animals in general, we were thrilled to be offered the chance to feed the turtles at Sea Life in Great Yarmouth. It's the moments like this that become treasured memories to look back on and I'll admit I was keen to get stuck in too with this exciting new experience too! We were greeted at reception and led upstairs to the top of the walk through tank where the Mini Mes were provided with life jackets and instructed on what to do if they did fall in, however unlikely this was. Safety first! The marine biologist Darren was really friendly and made us all feel at ease above the shark infested waters. He also answered all of our questions about the turtles that we had in relation to their diet, lifestyle, habits etc which was a great way to learn about these amazing creatures. We all learnt some interesting things about the turtles. awe a little too much to say very much (that's certainly a first!). Next we headed back downstairs to begin our trip around the Sea Life centre itself, posing first for a few family pictures which we were able to purchase just before reaching the exit. The jelly fish section was amazing, partly due to it being in the dark with only glow up paint on the walls educating us on it's life cycle to light the way. I've always found them quite beautiful and fascinating despite their dangers and the tank lighting made them really stand out. We continued to walk around at a leisurely pace reading the many signs about the animals within each aquarium and gathering our stamps in the Dive Log Book we received upon entry. The Mini Mes were keen to collect them all to receive a prize before leaving. Sea Life is very interactive for children, even though the majority of the animals can not be touched, as there are stop off points with facts, holes to peer through and buttons to press. They also have a Moshi Monster event at present where certain characters are hidden within the displays and once found can get you another special prize! Activities like these really help children to be observant and take in more of what they have seen. The aquariums are perfectly arranged for everyone to view the sea life within with ease and in a way that enables even babies in prams to see what's inside without being lifted up. The penguin section has both a floor to ceiling viewing area and an outside lookout point so you can see them from lots of angles. It was really nice watching them waddle around in the dry and then swimming through the water. Again with the stingrays in the Harbour area you are able to see them through the glass or above from the raised platform. The Rock Pool was a firm favourite and both of the Mini Mes received a medal for their bravery - they touched crabs and let cleaner shrimp climb over their hands! 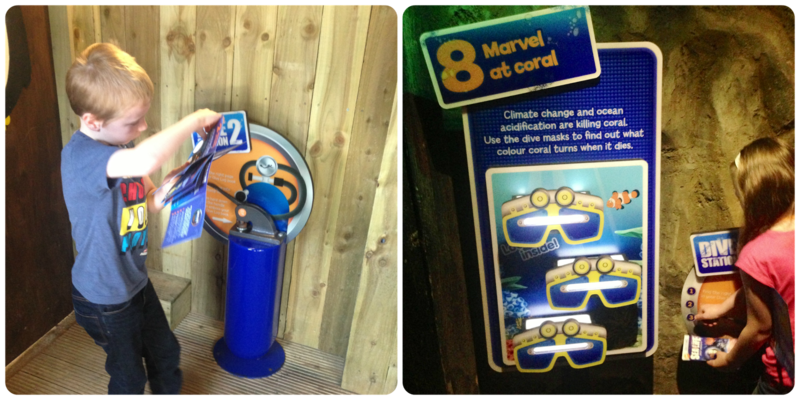 They also enjoyed the new Nemo section where there were plenty of clown fish and great photo opportunities. We were really impressed by how well maintained the tanks were, they were all tidy and the fish looked healthy which was great. We even got to see the crocodiles area being cleaned while there. They were all nicely designed and one even had a toilet inside which Jamster found hilarious when fish swam out! Our last stop before heading home was to the rather large gift shop with plenty of products ranging from pocket money buys to things a little more expensive, so there was something to suit every budget. Minxy selected a turtle to take home to remind her of her time there which was reasonably priced. There was also a cafe serving hot and cold food and a soft play area for smaller children to enjoy. We really enjoyed our visit and being primarily indoors it's a great attraction come rain or shine. There is plenty of Pay & Display car parking nearby, it's easy to locate (on the sea front by Wellington Pier), there is full disabled access and room for prams. 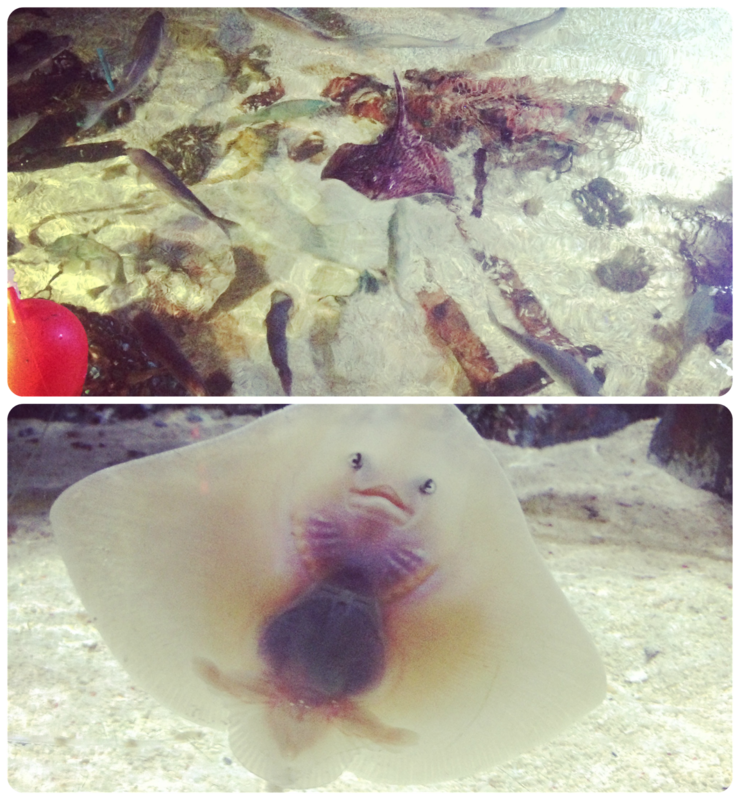 Have you been to a Sea Life centre recently? That looks like such a great interactive experience for kids and the perfect way to get them more involved. I might need to take my two along to a Sealife centre soon! That looks a lovely day out - and much better than I had imagined. I had it in mind that the regional Sea Life Centres were nothing like as good as the London one, but this looks great! We love a trip to a Sealife Centre, haven't been to the Great Yarmouth one for years! It looks like you had a great time. We went to our local Sea Life centre at Easter and it was even better than I remember it - they have seals and a family of otters too! what a great day! We haven't been to a sea life centre for ages! This looks fab!! My 2 would love to do something like this! Me and Hubby visited a HUGE aquarium when we went to Dubai 2 years ago! I could have stayed there all day it was amazing!! Sounds fantastic we shall have to visit next time we are on holiday that way. I've never been to a sea life centre but I really want to take the kids. I think we'd all love it. Your photos are excellent and make me want to go right now! 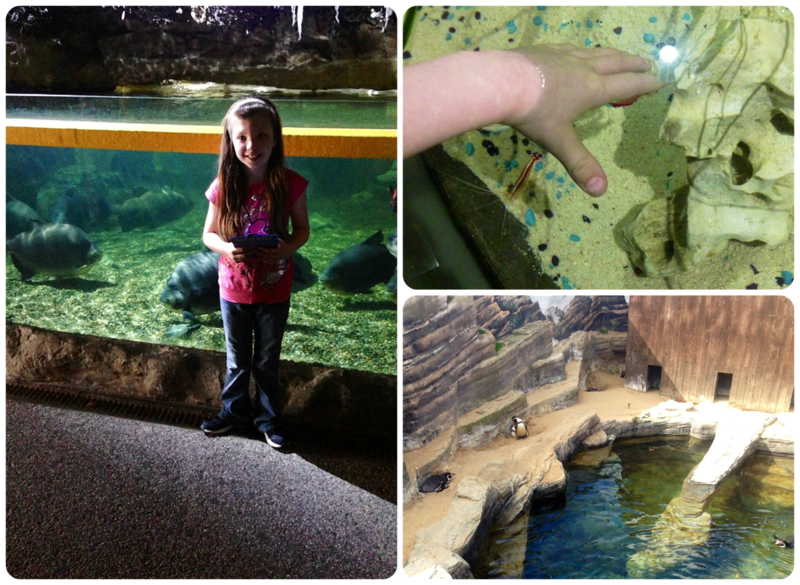 We love the Sea Life Center, we visited Birmingham last September for their Poppy Cat event. Sounds like you all had a great visit. I would love to feed the turtles, sure the rest of the family would also enjoy that activity.